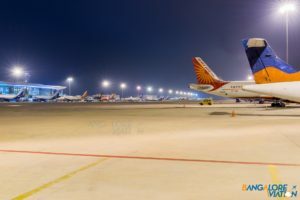 Indian aviation is on a growth track with the commercial aviation fleet set to double in the next five to eight years. This is reflected in the statistic that for each aircraft flying there are approximately 1.7 aircraft on order. India is poised to become the 3rd largest aviation market by 2030. Highlights of the fleet are presented below. To capitalize on the market growth, five of the seven airlines have ordered additional aircraft. 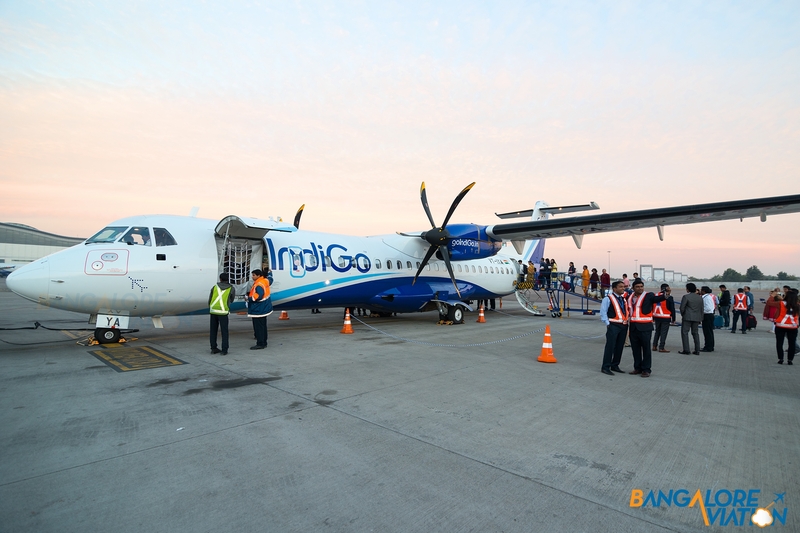 The orders are led by Indigo which will absorb 39% of the total aircraft to be delivered over a period of 10 years. Orders from Air India and AirAsia India are pending and depend on actions at their group level. Specifically, Air India is looking at divestment and AirAsia India has a new management team that is reviewing growth strategy. 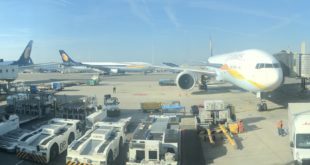 The Jet Airways order may see some changes depending on restructuring that is ongoing and the widebody replacement order for Jet is also pending. Vistara’s order is relatively small but this may also reflect its strategy where it is targeting more international routes which would be followed by an order of widebody aircraft. 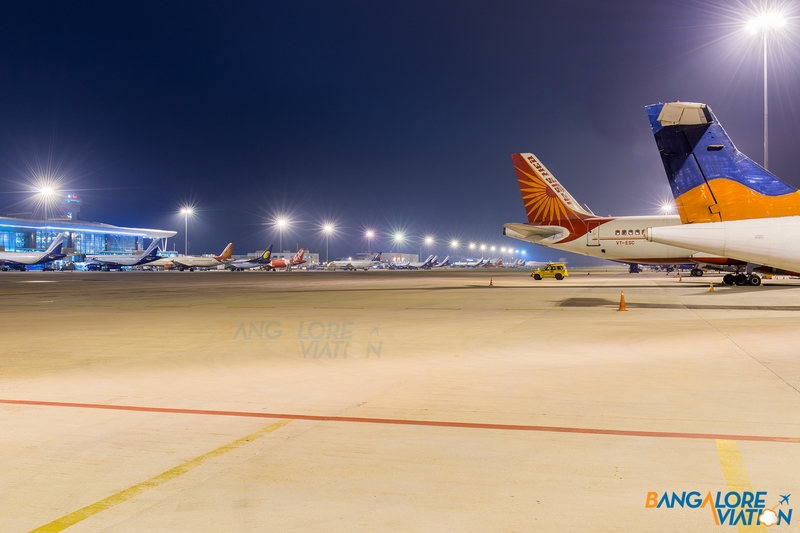 View of part of the ramp at Bangalore Airport at night. Photo copyright Vedant Agarwal. Used with permission. Across airports, one is most likely to see Airbus aircraft as they command a share 67% of the market. Boeing has the remainder with 33%. However, analysed further Airbus dominates the narrowbody segment – distinguishable by single aisle aircraft. The wide-body segment is dominated by Boeing – distinguishable by dual aisle aircraft such as the Boeing 787, Boeing 777 and Boeing 747 – which are largely used for international operations. The orders placed by airlines indicates that Boeing is gaining ground with 44% of orders with Boeing while Airbus has the balance of 56%. These numbers do not include new widebody orders which are expected especially from Air India and Jet Airways and will take time while the two airlines attempt to restructure their balance sheets. IndiGo Airlines ATR 72-600 VT-IYA. Regional aircraft re-emerged in the last four years as airline networks expand to smaller cities. 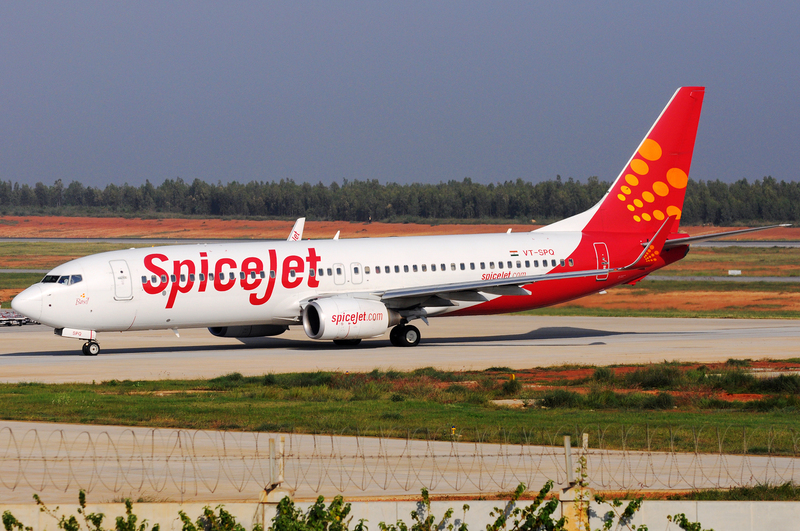 Currently, four airlines namely Indigo, SpiceJet, Jet Airways and Air India have regional aircraft in their fleet. The ATR is used by three of these airlines with SpiceJet being a pure Bombardier Q400 operator. 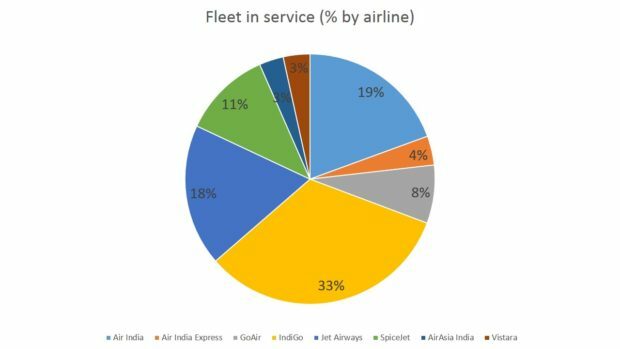 This fleet profile is likely to change as Jet Airways considers the future of the regional fleet and Air India disinvestment progresses. 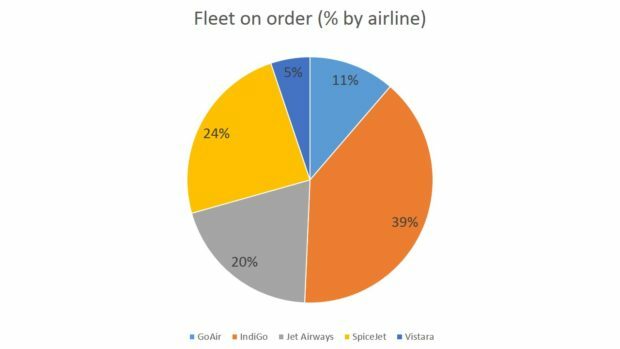 Looking at orders for the future, Indigo has 36 ATRs yet to bet delivered. 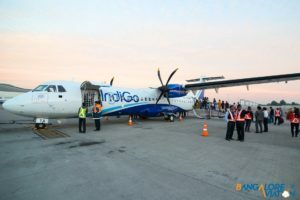 This makes for 56% of the incoming regional fleet, while the balance will be the Bombardier Q400s that will be delivered to SpiceJet. These deliveries will help expand regional capacity for both airlines. (Note: this analysis does not consider aircraft that may be flying with airlines other than the seven large scheduled commercial airlines). Given the market growth in India, the fleet is expected to consistently grow. As the aviation sector matures increased diversity in airline fleets is also a trend that is likely to emerge. This will be a boon for travellers as all of these airplanes will make for additional seats flooding the market making for competitive fares. That said, it also brings with it challenges mainly those of infrastructure and skill. With the number of aircraft expected to double in the next 10 years, there will be tremendous pressure on air traffic management, on airports and on the demand for talent required to maintain and operate these aircraft safely and efficiently. Additional orders are likely as well, as airlines firm up their long-haul strategy. Satyendra Pandey has held a variety of management roles in aviation. Most recently he was the Head of Strategy & Planning at a fast growing LCC. Previously he was with CAPA (Centre for Aviation) where he led the Advisory and Research teams. Having lived and worked across four continents, he is an alumnus of the University of New South Wales and the London Business School. He is also a certified pilot with an Instrument rating.